This Year, Biblical Films Are Fruitful And Multiplying There's a flood of biblical proportions this year in Hollywood: Noah, Exodus and Son of God are all hitting big screens in 2014. What meaning hath this year's spate of Bible-based films? Casey Crafford/Courtesy of 20th Century Fox Film Corp.
After the success of his 2013 miniseries The Bible, producer Mark Burnett decided to turn the series into a film called Son of God. "It just has to be that God is moving. There's no other explanation for it," says Burnett, a devout Christian. There's a flood of biblical proportions this year in Hollywood: Noah, starring Russell Crowe, floats into theaters Thursday. It follows Son of God, another Bible-based movie released by 20th Century Fox. And later in 2014, we'll see Exodus, a 3-D epic based on the story of Moses from director Ridley Scott. Why so many Bible movies in 2014? "It just has to be that God is moving. There's no other explanation for it," says Son of God producer Mark Burnett. 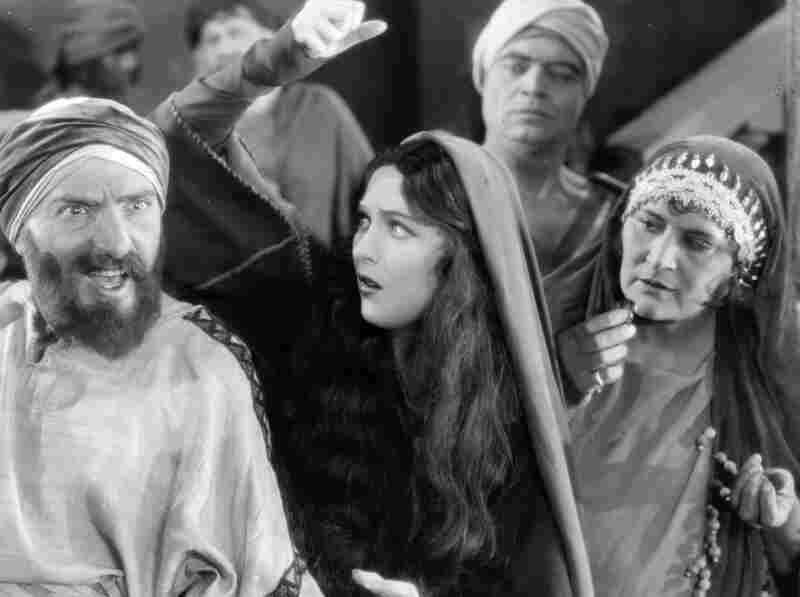 The 1927 biblical epic King of Kings tells the story of the life of Jesus as seen through the eyes of Mary Magdalene. A devout Christian, Burnett made his mark in secular television, with hit shows like Survivor and The Apprentice. 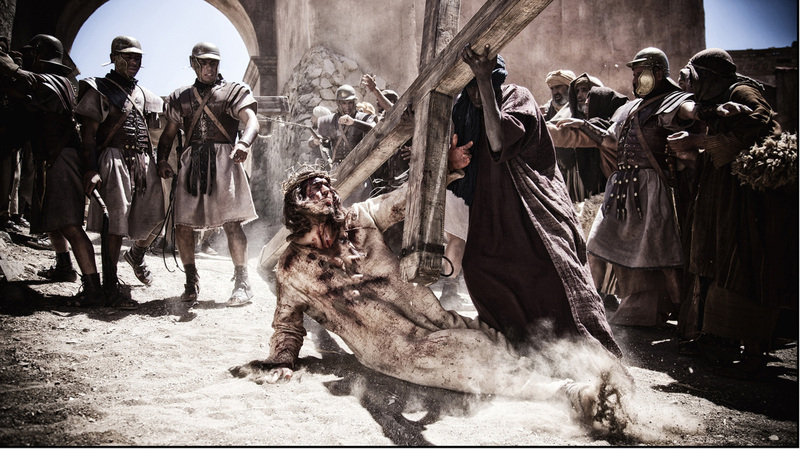 In 2013, his miniseries The Bible drew an average of more than 11 million viewers to the History Channel. So Burnett and his wife, Roma Downey, decided to turn it into a film — partly, Downey says, because so many older Bible movies felt creaky and quaint. "We refer to them as the donkey-and-sandals movies," says Downey, backstage after a talk show appearance promoting Son of God in Burbank, Calif. Ideally, she says, Son of God might end up as a more contemporary, relatable holiday classic and an alternative to such films as The Greatest Story Ever Told, a film she enjoyed every Easter as a child in Ireland — "but that movie is almost 50 years old!" she exclaims. Bible movies have been around for as long as movies themselves, says William Romanowski, a professor at Calvin College in Grand Rapids, Mich., and author of the recent book Reforming Hollywood: How American Protestants Fought for Freedom at the Movies. Historically, he says, Hollywood used Bible movies to get around a strict moral production code. "You could have six reels of ticket-selling sinfulness, if in the seventh reel all the sinners came to an end and good triumphed over evil," Romanowski says wryly. 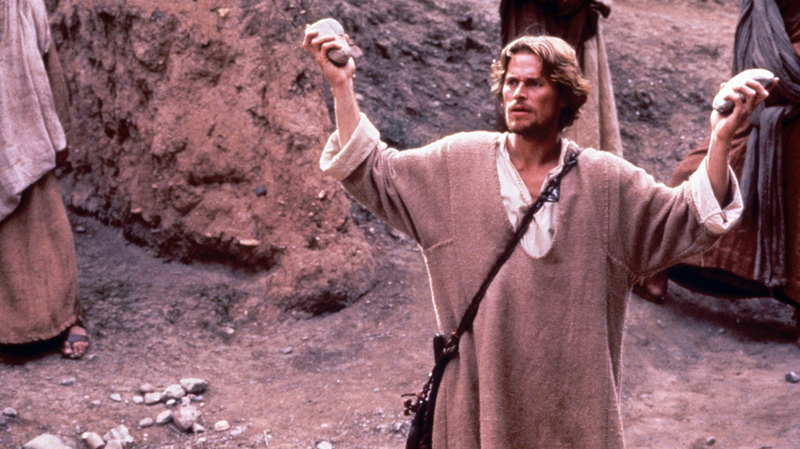 Willem Dafoe played Jesus in Martin Scorsese's 1988 The Last Temptation of Christ. A controversial dream sequence — in which Christ abandons the cross, marries Mary Magdalene and begets children with her — angered evangelicals and faith groups. For example, in the 1927 silent film The King of Kings, Mary Magdalene has a steamy affair with Judas Iscariot. But in the 1940s and '50s, Bible movies became important prestige films. Think Samson and Delilah, Quo Vadis and Ben-Hur. Hollywood identified urban Catholics as an important niche audience in the postwar period and tried to appeal to them with movies like The Robe and The Song of Bernadette. But starting in the 1970s, evangelical Protestants began to emerge as powerful media consumers. Many evangelicals and many other faith groups excoriated Martin Scorsese's 1988 film The Last Temptation of Christ for a controversial dream sequence in which Christ abandons the cross, marries Mary Magdalene and begets children with her. But when evangelicals released their own independent faith-based movies, they usually focused on contemporary life, as in the popular Left Behind movies, rather than biblical re-enactments. 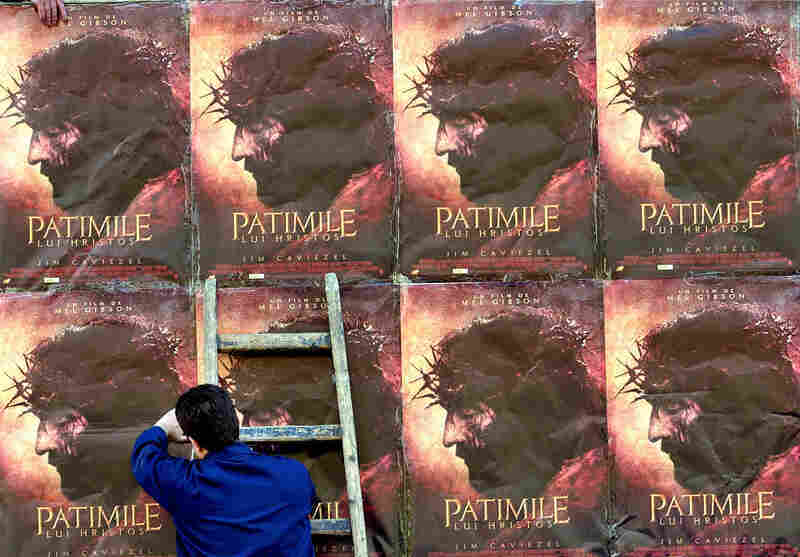 A worker adjusts posters promoting Mel Gibson's The Passion of the Christ in Bucharest, Romania, in April 2004. Worldwide, the film brought in more than $600 million in box-office earnings. That said, the commercial viability of biblically based movies shifted 10 years ago, when Mel Gibson released The Passion of the Christ. Filmed in Latin, Aramaic and Hebrew, it remains the biggest independent film ever, according to Hollywood Reporter, with box office earnings of more than $600 million worldwide. Romanowski says scholars hotly debated the extent to which the film's emphasis on Christ's suffering reflected the director's conservative Catholic beliefs. 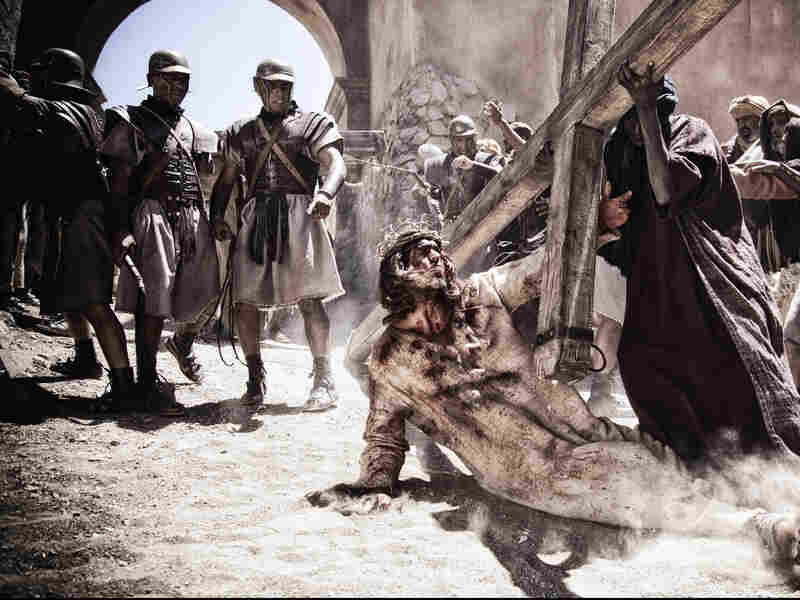 "One line of Scripture — Pilate had Jesus flogged — became the dramatic cornerstone of the movie," he points out. Romanowski muses that if you look back at Hollywood's history of making Bible-based movies, they're often most successful after wars. Maybe that reflects a hunger for stories people learn as children — foundational stories that comfort after collective trauma. And maybe that's what's happening now. But that's the opposite of what director Darren Aronofsky and co-screenwriter Ari Handel wanted to do with Noah. In today's popular culture, Handel observed, Noah is often reduced to a nursery story. "It's this kindly gentleman with two giraffes and two elephants sitting on a little toy boat," he says. Handel thinks it's the darkness in the Genesis version that makes Noah timely. "Certainly there's been an interest in apocalyptic stories in recent years, and this is maybe the first apocalyptic story," he says. Charlton Heston starred as Moses in The Ten Commandments in 1956. Cecil B. DeMille's film "was really a Cold War film," says professor William Romanowski. "And he, at the beginning of the film, comes out from behind a curtain and stands on a stage and announces that this is the story of the beginning of the birth of freedom." 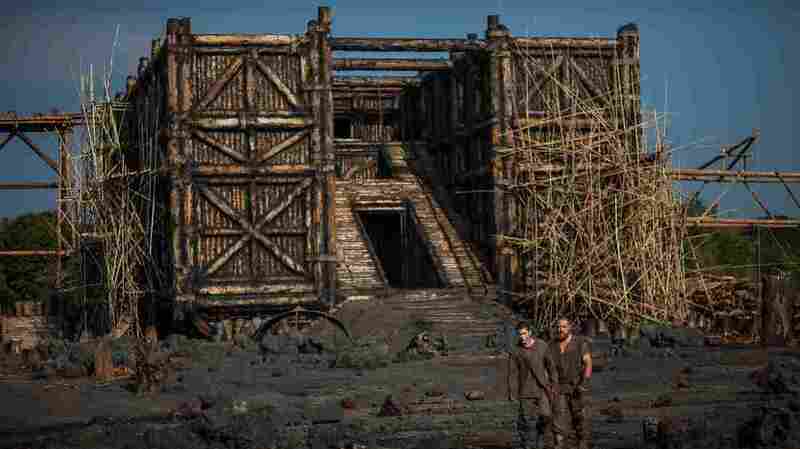 Noah has stirred up the ire of some conservative Christians, who suspect Handel and Aronofsky of using a story about environmental catastrophe to push a liberal message about climate change and conservation. But Handel says the biblical Noah is a tale essentially about stewardship. "At its heart," he says, "what we know about it is that Noah is sent to save the animals — not just the ones that are useful to mankind, or the cuter varieties, or the ones that happen to be nearby." It's the whole ecosystem. Biblical movies tend to reflect the political anxieties of their times, says Romanowski. 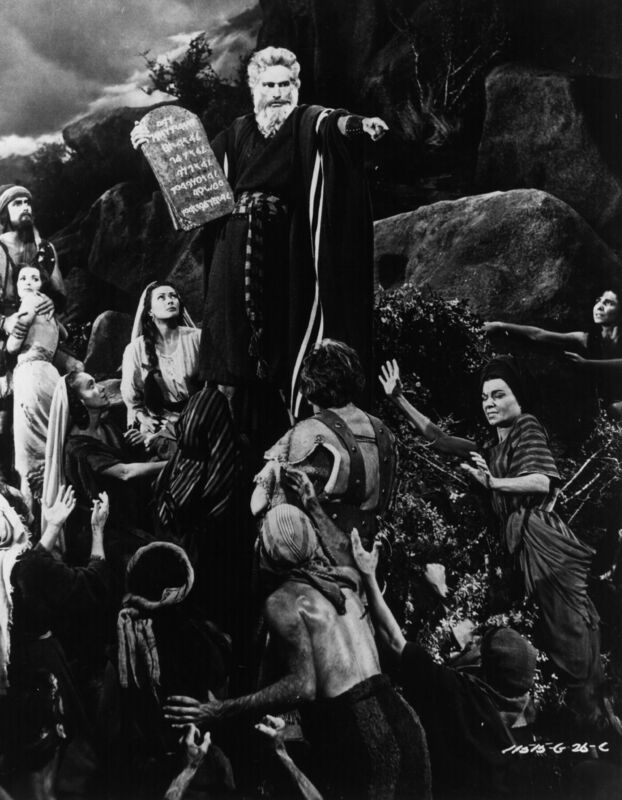 Take a classic — The Ten Commandments — from 1956. "[Cecil B.] DeMille's film was really a Cold War film," Romanowski says. "And he, at the beginning of the film, comes out from behind a curtain and stands on a stage and announces that this is the story of the beginning of the birth of freedom." As for Handel, he says he was not coming out of a terribly religious place with Noah. But when he was studying the source material and writing the script with Aronofsky, they understood themselves to be participating in the Jewish tradition of midrash. "It's a dialogue amongst people," he says. "You see questions posed by the story, what's unanswered, what seems to be confusing about it. It means that the story is alive." It's likely that any story that can survive 2,000 years can also withstand what for Hollywood would be a disaster of biblical proportions — not frogs, locusts or rain, but critics. Or even worse, bad box office.